Sorry for being so late in getting something new out to you this week. I hope this one makes up for it, not that many of you will recognize the name. Dole were/are a Belgian export with only one album to their credit (this one). Produced by The Sounds' Adrian Borland, this six-man entity had their creative tentacles steeped in the same transfixing waters as contemporaries Sad Lovers and Giants, Lowlife, The Chameleons and Echo and the Bunnymen, to varying degrees from song-to-song, mind you. 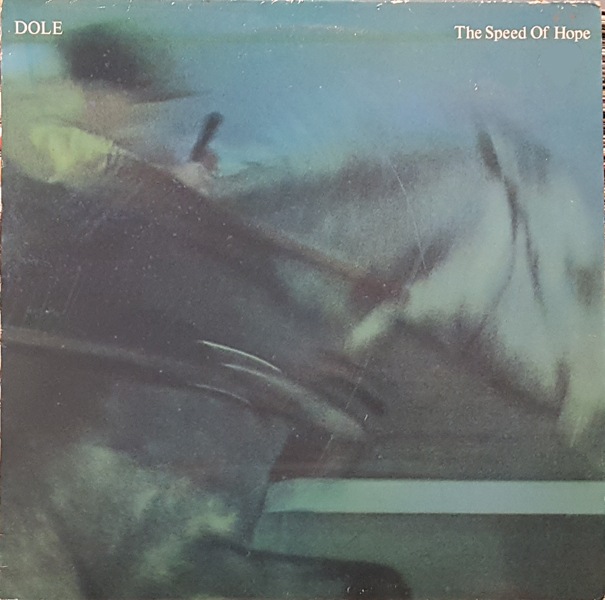 Tethered to the more atmospheric end of the post-punk/wave spectrum, Dole were capable of creating the same sweepingly melodic racket as the aforementioned contingents, best exemplified on The Speed of Hope's "The Dream," "Maybe Tomorrow," and "A Day." Coincidentally or not, they vividly recall the Cure on "I Say," and to a lesser extent Teardrop Explodes amidst the chorus of "Rumroad." There's saxophone accompaniment on the whole of this record, but it gracefully embellishes and never threatens to overpower. Dole still perform in Europe, sans some of the original members. And they have a new live album set to drop any moment know. You can read some postings relating to that on their Facebook page, and further audio/visual goodies are available on their site linked above. BTW, this album had no less than three different album jackets in circulation, so I appreciate you like the variation I've fitted you with. On a final note, this rip was taking from a defiantly crackly slab of vinyl that I was barely able to clean up, however the TSoH saw a very brief reissue on CD in the mid-90s, so with any luck I'll have a more pristine version to share in the future. Thanks, now the '97 re-issue is going on my to hunt list.